Customer Information Desk at The Ridings01924 787787work Information CentreThe customer service and information desk is located outside M&S on the upper mall inside the Ridings Shopping Centre. 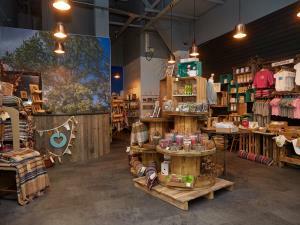 Pop in and explore wonderful goodies which have been made in Yorkshire, for Yorkshire, by Yorkshire folk! The customer service and information desk is located outside M&S on the upper mall inside the Ridings Shopping Centre. The friendly and knowledgeable team are on hand to assist with any enquiry you have about the centre and have a wide range of information to pick up about things to see and do in the local area.